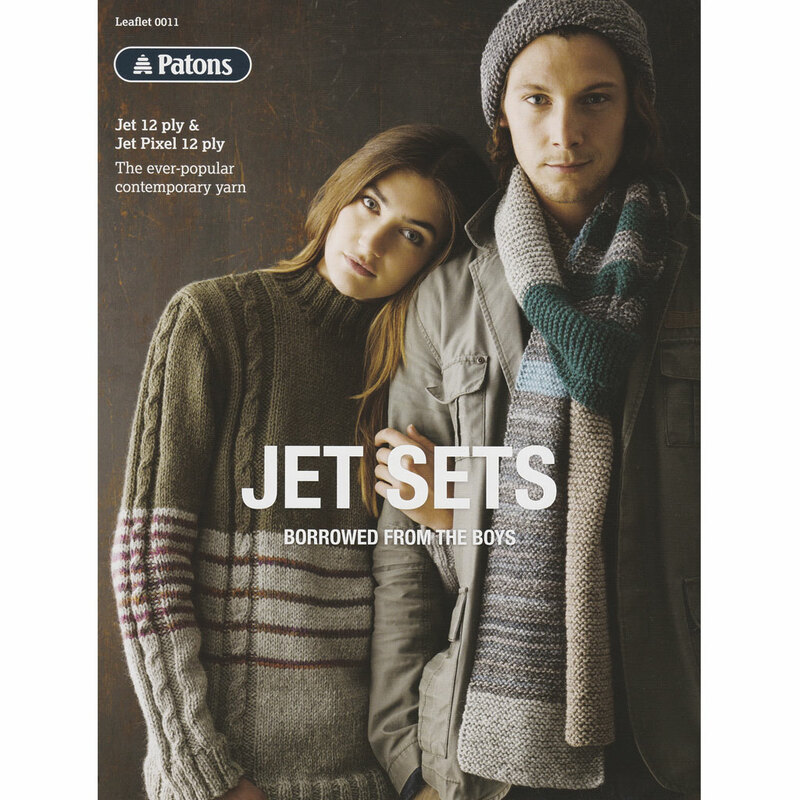 'Jet Sets - Borrowed from the Boys' contains a Unisex Jumper, Scarf and Beanie pattern for Patons Jet yarn. * Note: the unisex jumper sizes range from 90cm chest (XS) to 115cm chest (XXL). The woman pictured is wearing a size S jumper, whilst the man wears size L.
This leaflet was added to our range on 12th July, 2015.